Obstructive sleep apnea is becoming a regular household name due to the growing awareness of the impacts that OSA has on sufferers in the short term and the long term. OSA has typical symptoms that direct medical providers to suspect OSA. Some common symptoms of OSA are snoring, daytime sleepiness, morning headaches, and brain fog. If you or a loved one has been recently diagnosed with obstructive sleep apnea, you know that they are just beginning their sleep journey. Sleep Resolutions wants to make sure that you aren’t alone on this journey. We like to use our highly trained staff and all their knowledge about the different equipment, positioning, and troubleshooting all your concerns about sleep medicine. One big way we make sure to provide our patients with the most information possible is by reviewing the equipment we recommend. Here’s our complete review of Fisher and Paykel’s Simplus full face mask. Although these technical specifications may seem to be simple numbers, they are critical for your sleep medicine provider to be able to ensure that the mask is meeting your specific needs. Service life is dependent on the care, intensity of usage, maintenance, and environmental conditions in which the mask is used in and stored. F & P products do not use natural rubber latex in the design of this mask. Ready to use. The Simplus comes fully prepared for the patient use right out of the packaging. No pre-use cleaning necessary. Ergoform Headgear. This full face mask headgear has an easy clip hooks, adjustable crown straps, stretch and nonstretch pannels, and embedded velcro tabs. The stretch and non-stretch panels allow for flexibility where it's needed but stability where you don't. Rollfit Seal. The roll fit seal is what it sounds like, all one piece and it rolls across the bridge of your nose as you move throughout the night. Easy Frame. The Simplus has a low profile frame that doesn’t impair vision. Ball and Socket Elbow. It is designed to roll and rotate along with you as you move in your sleep while minimizing pull or drag from the tube. Every mask has common issues that arise through use, normal wear and tear, and sometimes simple issues like poor assembly. When these issues come up, it is handy to have troubleshooting guild to help you correct them before they impact your sleep therapy. After cleaning a cushion or replacement, cushions might not inflate properly. An improper seal causes air leaks around the cushion. First, check to make sure that the cushion was assembled correctly and that it is free of debris or obstructions that might impact its ability to seal against the frame. Second, check for creases or folding in the cushion. Use one or two fingers to work out the crease to inflate the cushion. Improper seals can be more challenging to solve. We recommend to disassemble your mask and reassemble following the instructions provided with your mask. If the seal continues to leak, check the fitting. Refit your Simplus, again according to the instructions, to ensure that the mask isn’t too tight or too loose. If you continue to have concerns, call us here at Sleep Resolutions or your sleep medicine provider to discuss the issues you're experiencing. Sleep Resolutions’ staff will make the best recommendation for the needs of individual patients. Selecting the right type of mask matters. 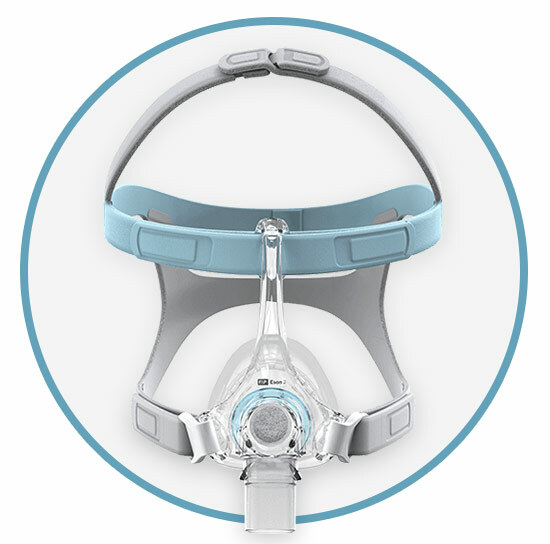 With that being said one full face mask we often suggest to our patients is the Fisher & Paykel Simplus Full Face Mask. 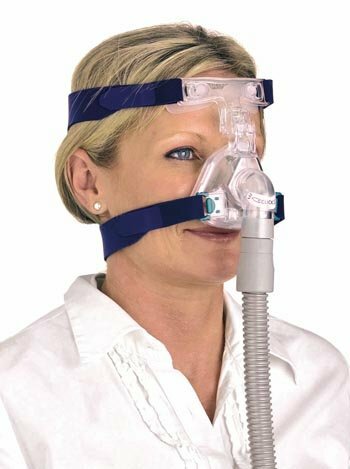 This mask is a great mask for those at the beginning of their CPAP sleep therapy journey. It works for mouth and nasal breathers, and even those that do both. There are only four components to this mask. The more parts there are to a mask the more parts you have to buy and the more you have to clean. Having a design that is simple is important for quick cleaning, easy assembly, and minimal parts to replace throughout its use. The head strap has three points of adjustment, crown, back of the head, and next to the cushion. The various points of adjustment give patients lots of room to find the ideal fit for them and ensure a secure seal. The Simplus has a single wall seal with a nice flex over the nose. The flex area around the nose, however, is very thin. It is important to be delicate when cleaning the flex area as it tends to break or tear in that area. We have gotten great feedback about this full face mask. It has three sizing options, small, medium, and large. This mask typically retails between $100.00 and $150.00 but can vary depending on where you order your equipment. If you want to talk more about obstructive sleep apnea, the differences between the types of mask, or have questions about how to improve your sleep therapy, reach out. Us, here at Sleep Resolutions, love educating our patients and their loved ones about the importance of treating your sleep disorders.